Stefano Mangia (voice, alto sax) and Adolfo La Volpe (guitars, harmonium, voice) unite to create a symbolic and utopian voyage taking Stefania Ladisa (violin, voice) and Angelo Urso (bass, voice) on this trip. On the way the musicians pay homage to their favourite Ulyssides: Demetrio Stratos, J.L.Borges, Leonardo da Vinci, Fyodor Dostoevsky, etc. 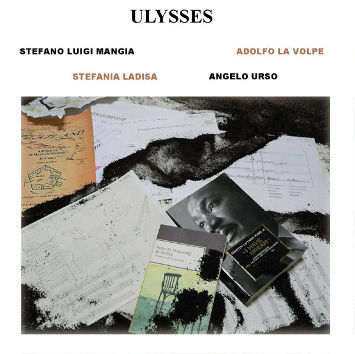 Partly notated and partly improvised, Ulysses' mythological voyage has been the leitmotif lived first individually, intimately by each musician, and then shared in a common path.